Let’s start with the areas that mean the most to us and where we spend the most time whether our living room, kitchen, or in our own backyard. Here’s how to get started adding more meaning and personality to your home. Instead of meeting up with friends and family at the movies, pub or nightclub, bring the nightlife home. Transform an entire area of your home that caters to nightlife and entertainment. Set up a tiki bar outside under the stars or in your basement and add everything you need to make it your favorite hang out, like beer glasses, a dart board and surround-sound speakers. You can also get innovative and set up a popcorn machine and an outdoor projector for an evening movie. For something more spirited, create an area to dance all night under a disco ball. Instead of tucking away your artwork or hoarding your travel photos on your smartphone, show them off in style. Create sacred space, whether on a wall or on a dedicated table in your den, to showcase your favorite hobbies. You can also add colorful frames and embellishments to give your hobbies balance with the decor of your home. For example, if your hobby is collecting sea glass or growing beautiful flowers, show it off in a stunning bud vase or dish and add colorful pebbles to tie into the aesthetics of your home. 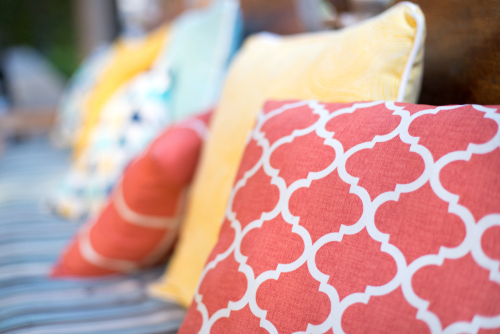 If you want to set your home apart from the rest, add more creativity to your favorite spaces. Paint a wall of your den matte black or cobalt blue to show off your favorite style. If you love to entertain at home, purchase a ping-pong table that doubles as a dining room table with the help of a quick cover. You can also store board games in an ottoman that doubles as storage space and hang plenty of unique artwork to show-off your creative eye. A home full of warmth and personality needs a cozy touch to transform it into a place you love. Add impossibly plush throw pillows and blankets around your home so you can warm up whether you’re relaxing in a living room or den. And remember, you can transform your fireplace for year-round warmth. Just add pillar candles to a non-working fireplace to create a warm and inviting atmosphere. During winter months, move the pillar candles to the mantle and dim the lights to showcase a roaring fire with a magical glow. At the end of the day, a home with personality requires a personal touch. Fire up your smartphone and print out those photos of family and friends, find your grandmother’s old quilts to add to your bedding rotation and show off your keepsakes on end tables and shadow box frames. The more you can bring yourself into your home, the more personality you’ll see. Your home is an extension of yourself and should be celebrated and honored. Get to work showing off your signature style and personal touches from a new entertainment area to your personal keepsakes. The concept of “home is where your heart is” will take on a whole new meaning. While it isn’t necessary to pick a style or a theme in order to make your bathroom dazzling, novices at interior design stand a much better shot at making a harmonious bathroom. 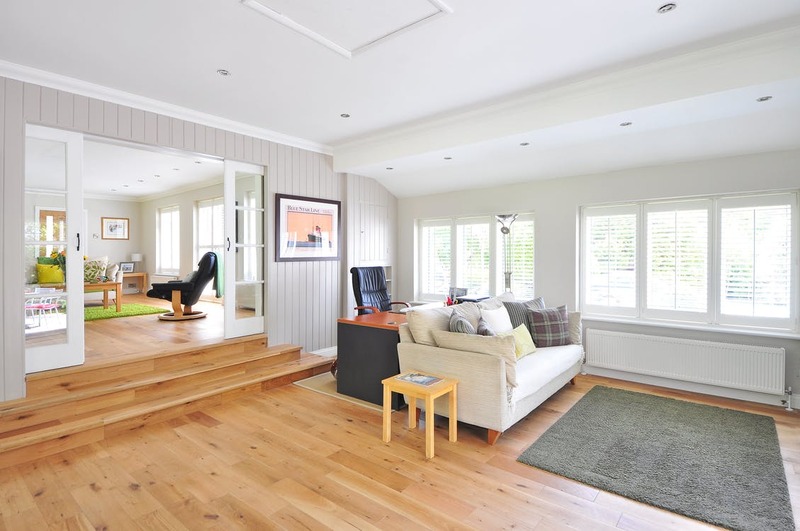 One of the trends that were popularized as of late was the so-called Scandinavian design. While this particular style can be applied in every corner of your home, one must notice how this trend is particularly appealing when it comes to your bathroom. The cold efficiency, pragmatism, simplistic layout and easy maintenance that comes from bright monochromatic surfaces are ideal for the most functional room in your home. Here are some other ideas. The first thing you need to understand is that in a Scandinavian bathroom, functionality always comes first. Therefore, you need a vanity, yet, not a standard vanity since it’s for the best if you can avoid the frame. Sure, a simple frame can fit perfectly into a Scandinavian design, however, by picking the mirror without any kind of frame, you can make it seamlessly blend into the wall behind it. This is particularly useful if you have a bold concrete or bare brick wall in your bathroom (even though the latter goes better with industrial design than it does with Scandinavian style). Another thing often associated with Scandinavian designs is the so-called Nordic minimalism. Seeing as how the bathroom tends to be the smallest room in the house, this is also a pragmatic trend. First of all, it gives you an opportunity to work around several fixtures and keep the rest of the bathroom completely empty. This will give you some room to maneuver and make your floor-walls composition into a canvas, with fixtures as figures on it. Needless to say, this opens up the room for various storage options, yet, pushing this too far might upset the minimalist aspect of your bathroom. The next step towards getting the most out of your Scandinavian bathroom is to look towards metals, precious metals in particular. Copper tub and fixtures can be quite appealing, even though not a lot of people would associate them with Scandinavian design right away. Apart from this, you might want to look towards neutral geometric tiles on both walls and the floor. Depending on the layout and the scheme of the tiles, this can make your bathroom appear both larger or smaller, depending on what your aims are. The main thing about Scandinavian design lies in the fact that the material you use needs to appear as natural as possible, which is why we hinted at the bold concrete several sections earlier. Natural materials like wood and stone can be just as popular. 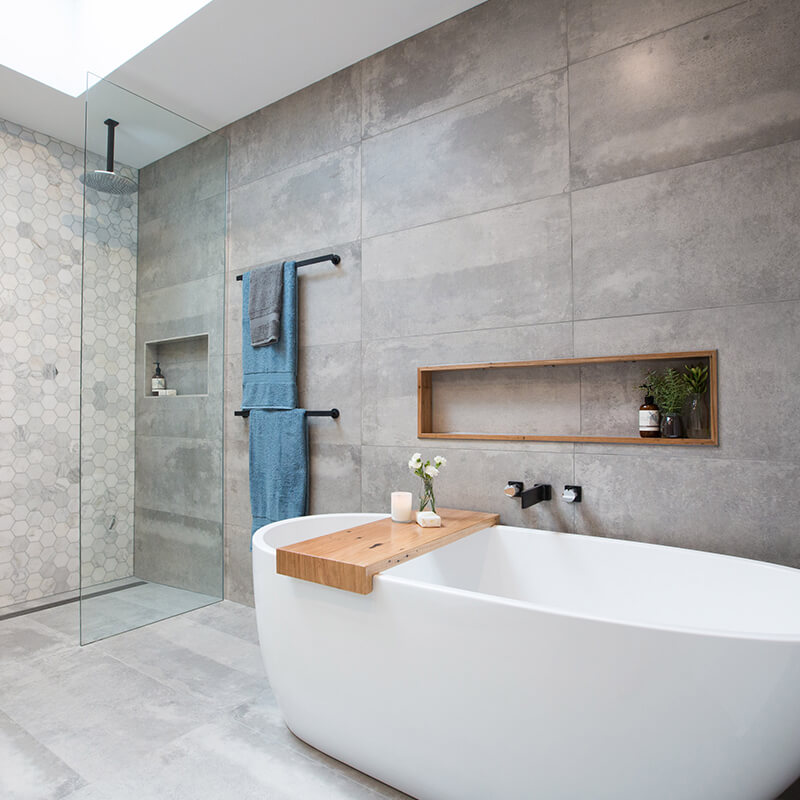 Matte hardwood floor and luxurious stone bathtub are just two examples of the way in which this works. Stools made from reclaimed wood, teak storage, woolen rugs and mats are other options that you have available. Look through all of your options in order to look into the plan that suits you the most. Not every Scandinavian design has to be covered in marble and concrete. Why not abandon the idea of an urban Scandinavian bathroom and make a Scandinavian farmhouse bathroom instead? This theme can be perfectly matched with retro and rustic, thus making a perfect hybrid of three daring bathroom styles. In a way, this can transform your bathroom from a place where you take a bath into a perfect reading nook. Light a couple of candles, get yourself a nice book or a water-proof Kindle reader and enjoy your bathtub. Earlier on, we mentioned teak as one of the materials you want to turn to when it comes to the natural Scandinavian look, but the texture and material aren’t everything. Accessibility also plays a pivotal role, which is why picking teak open shelves for your bathroom may seem like an option that gives you everything you’re looking for. Open shelves are simply more flexible, give you more space to fill (thus maximizing storage space) and it’s super convenient for maintenance. Think about it, wood and moisture aren’t an ideal combination (even though the right finish and maintenance can do a lot). At least open shelves have much better air circulation. 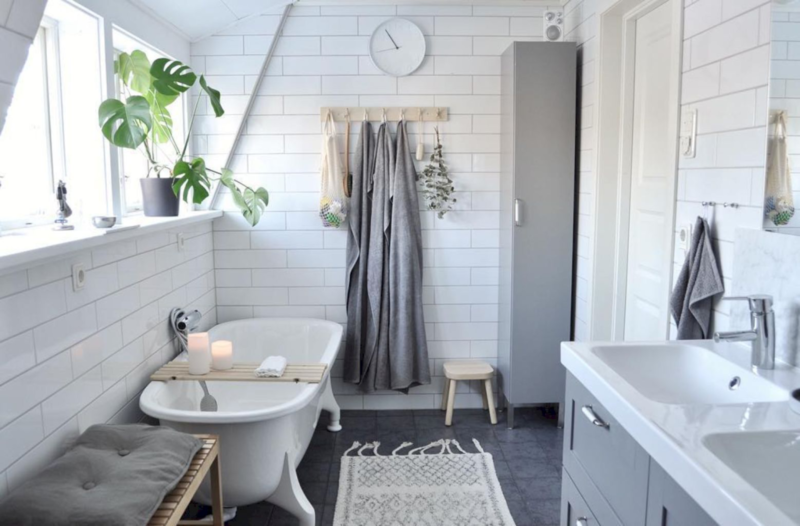 Of course, there are ways to make a Scandinavian bathroom without including any of the above-listed trends, however, they are definitely used for a reason. They’re pragmatic, easy for maintenance, beautiful and allow you to enhance your bathroom with a minimal investment. All in all, this might at least give you some idea about where you should start planning the layout of your bathroom. Now that more people are starting businesses at home and working remotely, home office space is something many buyers are looking for. Working remotely offers many advantages, including reduced overhead costs, lack of commute and more hours in the working day. However, before you set up your workspace, there are several things you need to consider. How much space do you need, for example, and what will you be using it for? 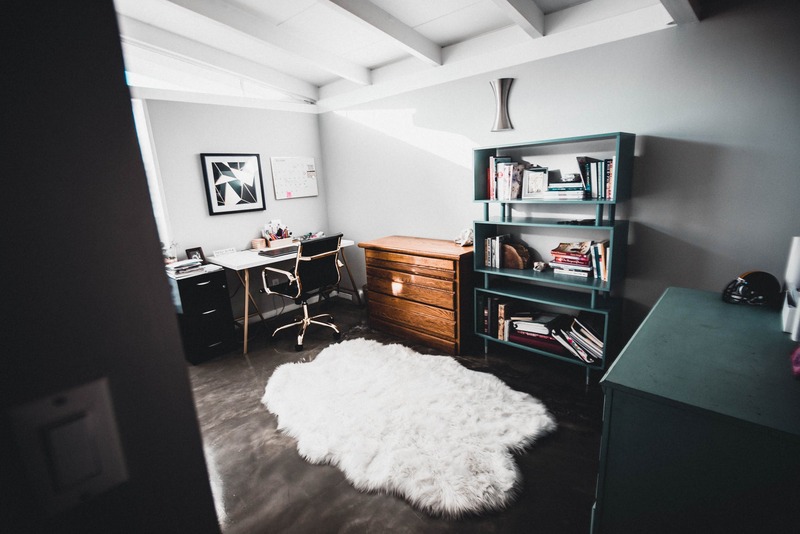 Whether you’re moving house to accommodate a new business idea or you’ve grown tired of working from your couch, here are three tips to help you create the ideal workspace for your new home. According to studies from the International Well Building Institute, the lighting in your workspace could mean the difference between productivity and procrastination at work. First things first, you should always maximize the natural light to improve your performance and health, so try to face your desk near a window or patio door. Relying on natural light will also help to reduce energy costs. When you’re looking for a home, opt for spaces with glass partitions, reflective surfaces and skylights to increase sunlight exposure. If you’re not able to increase the natural night in your workspace, you can work with a good desk lamp to keep you focused instead. You’re more likely to feel sleepy and unproductive in dark spaces, so always keep your desk well lit – especially if you’re going to be working at night. YLighting offers a stunning collection, which includes a modern desk lamp to brighten your space, as well as various floor lamps and overhead features from notable designers Koncept Lighting and Anglepoise. You’ll need to know the square footage of your home office before you’re able to buy furniture, so hold off until you’ve finalized your move, and be sure to measure up. There will obviously be limits on what you can fit into your office according to the space you have available. If you’re planning on working with an employee or business partner, you will need a desk that can accommodate two people or separate workstations. There are numerous space-saving desk options on the market, just be sure you’re not compromising on workspace when you make your purchase – remember that computers, files and other office essentials will take up most of your surface space. When it comes to choosing office seating, there are certain mistakes you want to avoid. For a start, you should always opt for seating with proper back support and armrests; the best chairs will also offer adjustable lumbar support for your lower back. This feature is important for preventing back strain that can worsen and become sciatica, a debilitating condition that affects many office workers in the U.S.
You should also make sure you’re able to keep your feet flat on the floor when you’re working, and that your elbows can easily bend at a 90-degree angle when using your computer. The trendy chairs you see on Pinterest may look great, but they won’t necessarily support your posture after a few hours at your desk. Spicing up your living room can be quite a conundrum to figure out, especially if you’re not someone well-versed in the complicated art of interior design. However, anyone can improve the appearance and feel of their living room with a few simple touches, one of which is by installing a strong and striking centerpiece into the room. By doing so, not only will your living room have a strong and visual focal point – one that ties its many disparate elements together – but you also get a great conversation starter with your visitors and guests. With that said, here are some ideas for centerpieces that are guaranteed to catch the eye of the company you’re having over. An indoor water fountain. One of the latest trends in interior design is adding an indoor water fountain into your living room. It sounds excessive, but it really isn’t, as there are now many miniature and downsized models that can be installed no matter how tight your space constraints or budget is. 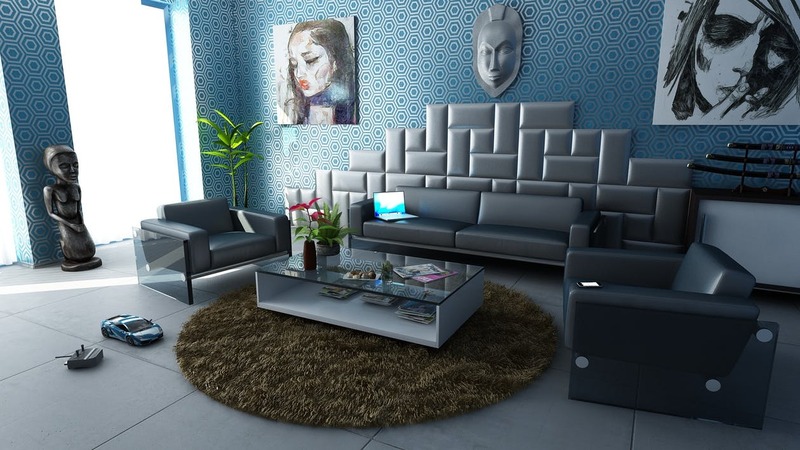 There are also models that can be integrated into a living room wall (i.e. a wall fountain) to save even more space. Having a water fountain as your centerpiece gives your living room not just a calming effect, but it also freshens up the air inside due to the flowing water’s air purifying and humidifying qualities. A fireplace. If you’ve got a fireplace in your living room or you’re planning to have one installed very soon, then it can definitely serve as a very captivating centerpiece. 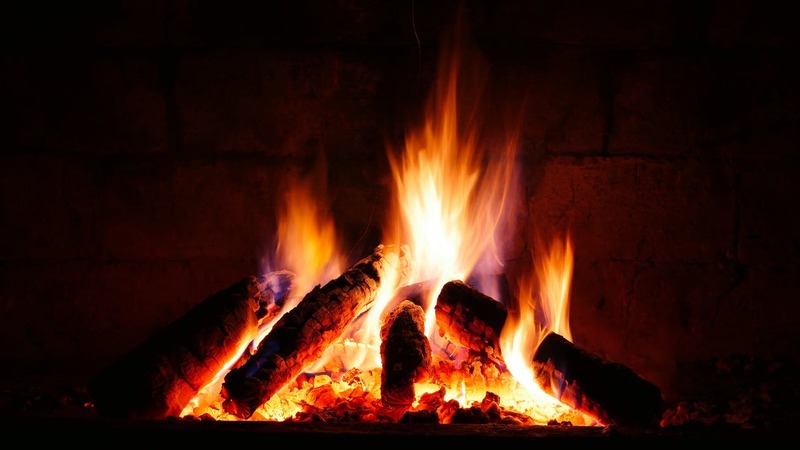 Fire not only gives you a great way to naturally illuminate your living room, but it also helps keep things feel more cozy especially in cold winter nights due to its ability to give off heat. Just make sure that it’s properly cleaned and maintained, as you don’t want a filthy fireplace to be the thing your guests can focus on when they’re over. A sofa. Sofas are one of the modern living room’s staples, and chances are you already have one installed. Why not make it the centerpiece? 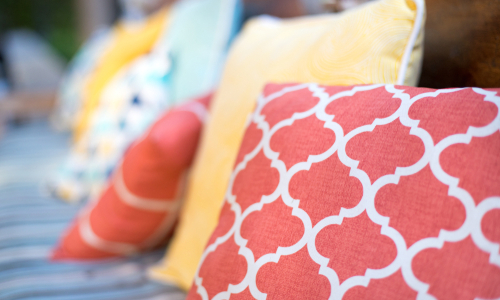 If you’re willing to replace what you have now, then opt for a bigger and more brightly-colored couch. You can also pair it with a glass center table with some heavy but tasteful ornaments such as a vase or a stone statue bust. If you’re not willing to part with your original sofa, then simply draping a richly-colored blanket over it can suffice. Something personal. Another great idea for a living room centerpiece is to feature something that’s a part of your personality or family. It’s your own living room, after all, so you want to make sure it has your own personal touch. If you’re a collector, you can feature one of your prized collectibles as a centerpiece, like perhaps a model or a poster or even a painting. If you’d rather make it a bit more family-oriented, have properly-framed family pictures be the centerpiece. Whatever you choose, it’ll make your living room feel a bit more lived-in and personable, which is always a good thing. Who doesn’t like flowers? They add a splash of color in any room as well as give off a light and appealing scent, so having a bunch of artfully arranged flowers would make for a great centerpiece. Just be sure to replace them regularly, as wilting or dead flowers will definitely be an eyesore. If you’re not up for that kind of expense, however, then imitation flowers or even flower sculptures will suffice. An eye-catching centerpiece can really tie a living room together, and you don’t even have to spend all that much to get that very same effect. Just be sure to pick something that not only fits your budget and space constraints, but also something that you yourself can show off and display with pride. Are you looking for a new style for your home? Are you tired of the traditional design methods that everyone else is using? If so, you may appreciate modern eclectic style for your next redecoration. Not only will it make your interior much more vibrant and noticeable, but it will make your house feel more like a home. Enlisting los angeles interior designers can also help bring your new, modern look to life. One of the defining characteristics of this interior design style is the inclusion of a variety of different pieces. Rather than creating a single, homogenous appearance for your home, modern eclectic utilizes various colors, textures, and motifs to create something more unique. To better understand how this all comes together, it’s important to know what the core concepts are for modern eclectic. At first glance, it may seem like you’re just throwing a bunch of stuff together, but it’s so much more than that. To really get into this type of design, you have to be able to bring elements that compliment each other instead of clashing. Also, everything should be part of the homeowner’s persona, so it’s a bit like combining different parts of a person’s personality. Curation is the key to making it work, which means that you can’t just go with anything. One thing that can happen easily with modern eclectic is that the interior can feel cluttered or overwhelming. As such, it’s very important to create focal points in each room and have the additional pieces flow outward from it. This will ensure that the result is more refined and appealing. While decoration can enhance the feeling of a room, you don’t want to have an abundance of items for show purposes only. Instead, try to incorporate pieces that are both functional and aesthetic so that you get the best of both worlds. Finally, the tricky thing about modern eclectic is that you need to have an overarching premise for everything. Randomness is not a design element, so it’s critical that you have a balance of eclectic and classical motifs. If you’re interested in having the modern eclectic design for your home or business, contact interior design firms in Beverly Hills. We specialize in making this style blend seamlessly into your space. Home refurbishments are a great way to give your home a new lease on life, but the expense of hiring decorators can be a huge turn-off. 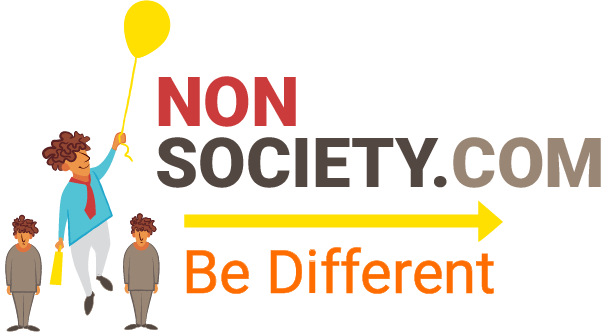 For many, the idea of DIY as an alternative is just as unappealing. Adding a couple of free-standing lighting fixtures can help turn any room into a new space or at least one that looks new. Budget versions of stylish floor uplighters and lamps can be picked up from “big box” home decor stores. The best part is, there is absolutely zero effort or electrical knowledge required to install them. Simply unbox, assemble and plug into the wall. These simple and affordable lighting fixtures can be a great addition to a room that doesn’t get much natural light. They can also be moved around the room to ensure that they have the optimal desired effect with no electrician’s bill in sight. There’s no end to the benefits that a new coat of paint can bring to a room. While professional painters will surely disagree, it’s a job that can be done well by simply following a few simple guidelines, so there really isn’t any excuse for putting up with drab or worn-out paint jobs. The key to selecting an appropriate color is to go for a neutral shade. While it may be tempting to add in a feature wall, you may regret this at a later date if fashions change or you decide to change your furniture. So, opt for a gray, off-white or perhaps a “fashion-neutral” navy (be sure to only use dark neutrals such as charcoal and navy in rooms with plenty of natural light). Does your home look like you live in it, or does it just look like somebody lives in it? The key to making any space your own is to include plenty of personal photos of loved ones or artwork that means something to you. Hanging photos of friends, family and places that you’ve traveled to is a simple and cheap way to bring a room to life. The best part is, it requires no DIY skills whatsoever. Choose some sentimental photographs from Facebook and print them out on high-quality black-and-white photographic paper. This can be done cheaply at any copy shop and at many “big box” department stores. Because black and white are neutral colors, your photos will have a classic look that complements any room. The frames are an easy win, too. Just look out for the correct-sized frames at yard sales and charity stores. Remember to stick with frames that are neutral in color and simple in design. Ladder shelving units are on-trend at the moment. This is why you’ll see them in stylish city cafes and restaurants and in virtually every home décor store. If you want to get in on the trend, then consider adding a set of ladder shelves to your bedroom, living room or dining room. Assembly is as simple as putting up a normal ladder, which virtually anyone can do, and you can include ornaments on the shelves themselves to suit any room. The DIY versions of shelving ladder units require a little more assembly but will spare you the inflated fees that boutique stores often charge for very similar items. Be aware that these units will have their own shelf life, so may start to look a little dated in a few years’ time. Shutters may not be the first thing that come to mind when thinking of easy DIY projects. but there are DIY shutters available that won’t break the bank. They also look great and take no time to install. Most importantly, a new set of window shutters will give any room in your home a fresh new exotic feel. On a practical level, they’re ideal for keeping out the summer sun. Greenery is always in fashion. So, why not add some to your home? Aside from the mental and physical health benefits that plants can bring to a home, they can also change the look and feel of a room entirely. They can also be picked up from a garden store relatively inexpensively and require no DIY skills at all. The real estate market has a steep learning curve, and lacking the knowledge, experience, and foresight necessary could leave you open to costly mistakes. But practice makes perfect. Taking on a few home improvement projects is an excellent way to start. Aside from improving functionality and comfort, updating your bathrooms adds value to your home. Unfortunately, determining the most suitable bathroom improvement project is not always an easy task. To help you get started, here are some fairly inexpensive but highly effective ideas. DIY floor replacements are a great way to upgrade and modernize your bathroom space. Tile stands out from the various flooring options available for use in bathrooms. Aside from being simple, hard-wearing, and long-lasting, tile comes in different shapes, colors, and designs, and can, therefore, be used to complement just about any style. As seen in this picture, you can use tile to expresses your personality by creating a signature look and feel. Tile offers endless options. For instance, you can give your bathroom floor an elegantly unique look by installing a large medallion at the center or accentuating the borders with small intoned tiles. While you’re at it, you might as well enhance the bathroom’s appearance and feel by refinishing the bathtub. You just need to remove the old caulk, thoroughly clean the tub, apply a two-part epoxy to fill any surface chip, sand the rough spots until they are smooth, and spray at least two new coats of paint onto the bathtub. It’s unfortunate that some people don’t know the importance of properly installed bathroom lights. Although adequate lighting is essential to the many functions of a bathroom, unflattering shadows are a common concern. 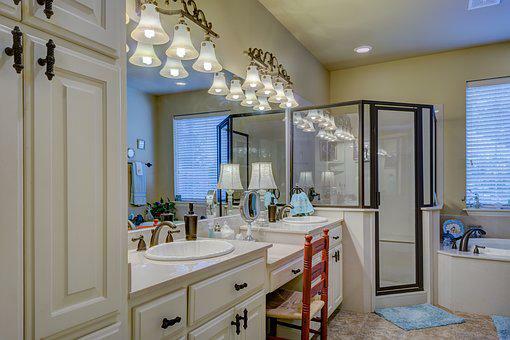 As seen in this picture, sconce lighting fixtures can provide evenly distributed light when installed at the vanity. You can also prevent the occurrence of shadows by installing eye-level lighting solutions. On the other hand, having dimmers and dimmable light bulbs improves the ambience. While dim lighting works well for relaxing baths, you’ll want a brightly lit bathroom for your cosmetic functions. 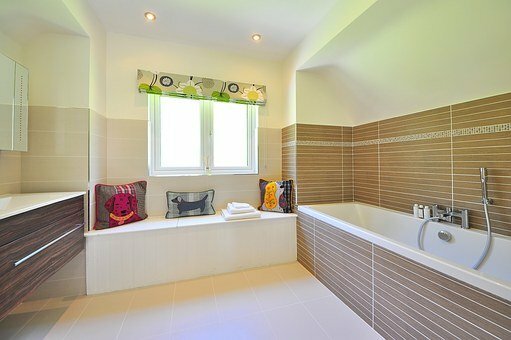 If you have a small bathroom, adding more overall lights is bound to open up space. When it comes to the bathroom’s functionality, humidity is one of the biggest concerns. Aside from the fact that mold needs moisture to grow, wet walls are a danger to the structural integrity of your home. Moisture could, therefore, make quick work of any renovation. 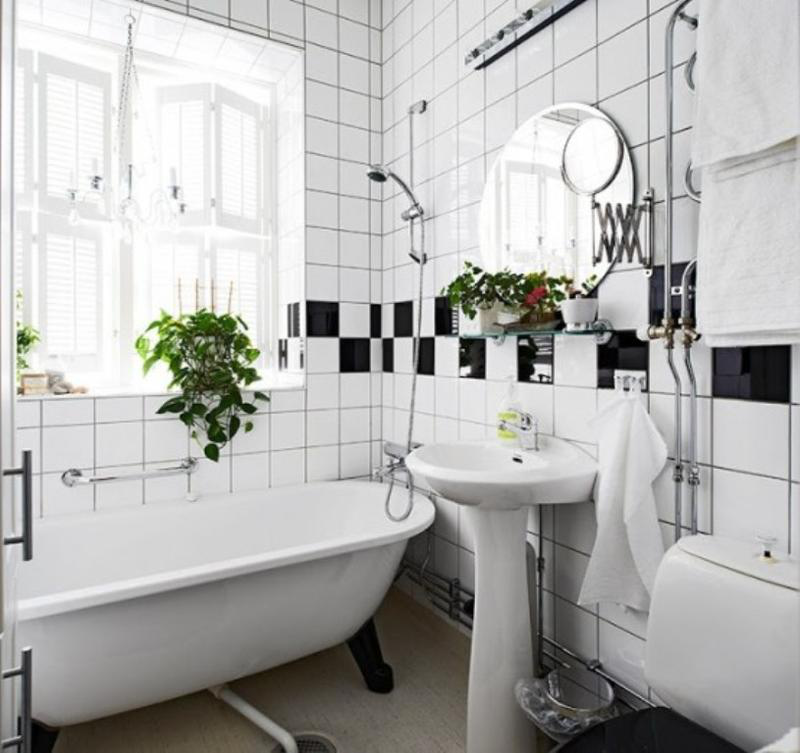 In most cases, the unsightly spots commonly associated with mold and mildew will develop in the bathroom first, mainly because it is often the wettest room. To keep mold and mildew from growing, you need to allow proper air circulation. After you’ve showered, leaving the bathroom door or window open could be a great first step, especially since such actions can help ventilate the room. But if you want to draw out moisture and ensure proper ventilation, installing a vent fan might be the best solution. In fact, many would agree that vent fans are a must-have. In addition to being a lot quieter, currently available models come in elegant and stylish designs. If you don’t seal your grout lines after a tile job, you’ll probably notice variable color patterns before long. Thankfully, superior grout cleaning products are currently available on the market. Although these improved products can help you achieve desirable results, it’s unfortunate that most of them are noxious, making it important to take the necessary precautions. Alternatively, you can use a steam spot cleaner plus a mixture of baking soda and hydrogen peroxide. Either way, you will need elbow grease and heavy-duty brushes. Remember to allow adequate drying time before you seal the grout.